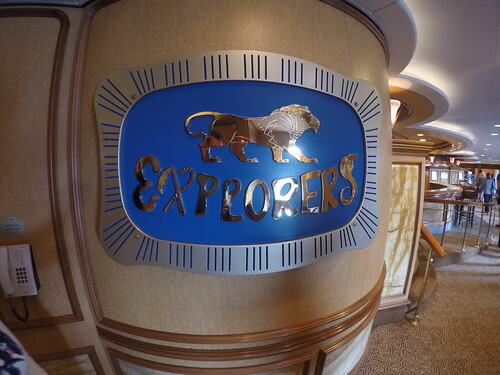 I recently sailed on board the newest ship in the Celebrity Cruises fleet, Celebrity Edge. This has been a long time in the making, as I booked this cruise just under 2 years ago. Ever since, I have been closely following her development on my blog (here). She’s full of new and exciting features and surprises, whether it is the radical design, to new eateries and concepts, she really is on the edge of innovation (get ready for a lot of edge puns!). I have also produced a tour of Celebrity Edge for Cruise International Magazine. 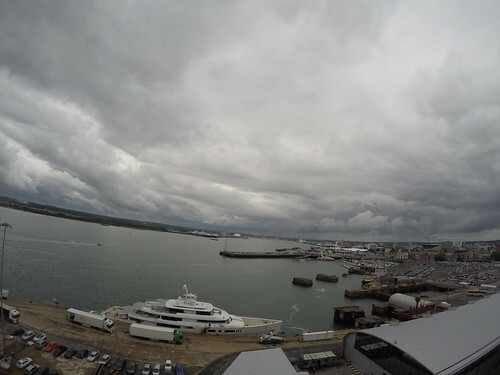 This blog series will explore all aspects of Edge, from the boarding process, to the design, food, drink and entertainment on board. Let’s start at the beginning! Why you ask am I starting this blog by not talking about the ship? Well, a new ship such as this deserves a new terminal. In 2018, Celebrity Cruises rebuilt their terminal in Fort Lauderdale Florida specifically for Edge and the result is really astonishing. As soon as you arrive at the terminal you immediately encounter a light and airy terminal, with colours and design that mirrors edge berthed behind. The whole setup is designed to be powered by the new Celebrity Cruises App. I’ll talk about this shortly, but staff just have to scan your online boarding pass and photo ID and you are free to get on board. There was no waiting, they want to you enjoy the fun as quickly as possible. Getting off is just as much of a doddle, with very quick immigration and security, utilising nifty e-kiosks. It has to be the quickest I’ve ever gotten on or off a ship. One of the new additions to the Celebrity Cruises experience is their new app. This is available for a number of ships in the fleet, but its features are enhanced for use on edge, particularly in controlling your cabin. The app now lets you open the door without your room key, you can control the TV in the room, the lighting and even the blinds. In addition to that the app allows you to message people on your cruise, view what activities are taking place and book dining. It’s a really useful piece of technology. Make sure you download the app before you travel. There is no two ways about it, Edge is striking both inside and out. At first, I wasn’t too sure about the asymmetric design, but coming away from a week on board, I love it. I could cruise on this ship again and again. The heart of the ship is the Grand Plaza. Spread over three floors, this is a hub of activity throughout the day. The space is very chic and almost organic, taking inspiration from ocean liners of the past – put simply, it’s truly stunning. Whether it’s grabbing a coffee at Café Al Bacio in the morning, having some lunch at the new Raw on Five, doing some impromptu shopping by the numerous shops that surround the Plaza or having dinner in some of the other new speciality restaurants there’s always something to do here. Sitting pride of place in the Grand Plaza is a reimagined martini bar (and let me tell you the martinis are good!). The bar is framed by a huge LED Chandelier that draws the whole space together. While it is beautiful, it is also rather cheeky, with fun light performances each night – from the Star Wars march, to Jeepers Creepers and many more. Moving to the back of the ship be ready to be playful, or even a little sinful in Eden. Overlooking the wake of this ship, this is a multi-tier venue that includes a bar, lounge, café and speciality restaurant. It’s a place where the mood changes through the day. Start the morning by grabbing a coffee and chilling out in one of the many nooks. Then grab a healthy bite to eat in the café and eat it al fresco for lunch, before becoming playful in the afternoon with games and other activities taking place. As the sun sets Eden changes again as the Edenites come out the play. Bid these entertainers ‘Good Eden’ and watch as they interact with guests and turn Eden into their playground. It’s a lot of fun to watch or be involved with. This is taken even further if you eat downstairs, but more on that later. That’s not the end of this tale, as Eden becomes sinful as the night continues, with a variety of activities, shows and entertainment including Eden becoming a massive club. Finishing off the new venues on board is The Club. Another multi-faceted space, if you want to keep busy this is the place to be throughout the day. This place was in use for something the whole day, with a huge variety of things to do from drone racing (yes you read that right), desktop puzzles, archery, an escape room, a laser maze, the infamous silent disco and to round of an evening, a disco. There’s so much fun to be had here! I always feel that art gives a ship personality, and Edge does not disappoint in this department. Wherever you look on Edge there’s something to draw the eye. Take a look below at some of the offerings on board. It really makes this ship stand out even more. My favourite oddly is where they’ve left a piece of the ship totally bare from construction at the ship yard – you would be amazed to see how many people want to get close and physically touch the ship. One of the top questions I’m always asked is ‘how crowded does the ship feel?’. For a ship of this size I am totally taken aback by how easily it absorbs people and how intimate it feels. There are so many nooks and crannies that nowhere feels busy. Even the pool areas or buffet, which can be typically very busy on things like sea days, were never overly busy. You could always get a sun lounger right by the pool or a table in the Ocean View Café. That is called clever design. The resort deck encompasses the top area of the ship. 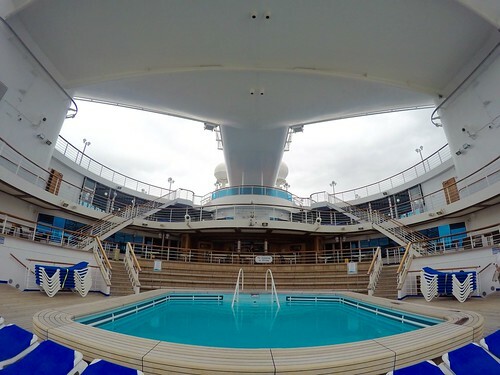 At the centre is the main pool, featuring tiered seating in both the sun and shade and one of the biggest pools at sea. You’ll also find the pool bar in this area, alongside the exclusive cabanas (available for rent for the day at a price) and the Pool Grill. Heading forward there is the reimagined solarium. I love the solarium on the solstice class, it’s one of my favourite parts of the ships, and again Edge has an evolved take on this area. With its oval transparent roof, indulgent loungers, the spa cafe and large pool framed by gorgeous artwork – it’s a great place to be mindful and chill. One novel feature of edge is the running track. Unlike on most ships, this is multi-level, with long ramps that take you between decks, taking advantage of the asymmetric design of the ship. The Rooftop Garden is a quaint oasis on Celebrity Edge. Taking inspiration from the Lawn Club found on Solstice Class, this space is full of comfortable seating, lush vegetation and amazing artwork in the form of the giant wooden trees. it also features patio games in the day, such as oversize Jenga (amazing!) and impromptu performances from entertainers that literally sit in the trees. Sitting behind the Garden is the Rooftop Garden Grill which I will talk about in a later post. 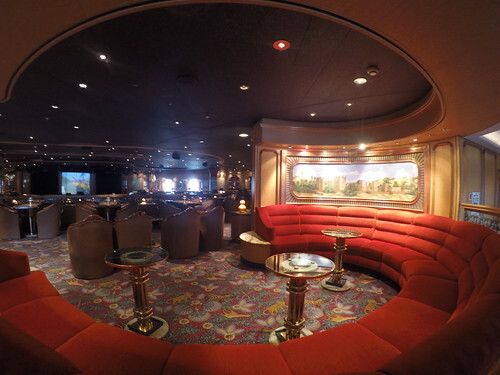 Tucked away right at the back of the ship you’ll find the sunset bar. 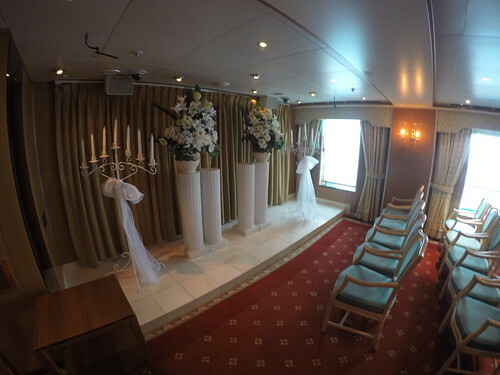 This is always a jolly and social space to find yourself in and perfect for spending sail-away with friends. One thing that really strikes you about this deck is the height of the ceilings. The whole area feels open and bright due to it being double height. It makes such a difference. While the Grand Plaza may be her heart, the crown jewel of Celebrity Edge has to be the Magic Carpet. This unique structure is about the size of a tennis court and hangs off the starboard (/right hand) side of the ship. The party piece of this venue is that it moves between different decks through the course of the day, performing different tasks and acting as a different venue. During the daytime the Magic Carpet is situated either on deck 14 or 16 where it is a scenic bar. 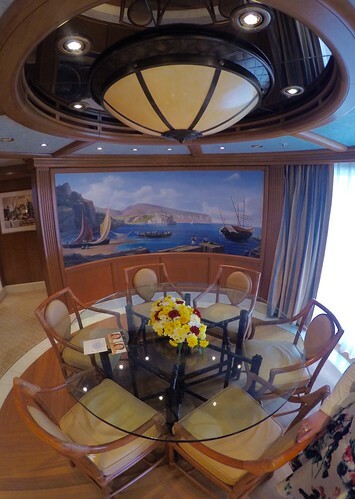 Imagine sitting in one of the many comfortable seats sailing past Cuba or through the Greek Isles. There is a definite connection with the ocean thanks to its open feel. 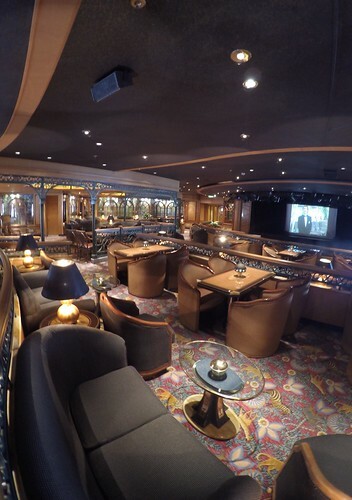 In the evening the Magic Carpet gracefully glides down the ship to Deck 5, where it becomes an extension of Raw on Five and an upscale bar in its own right. The perfect place to enjoy a cocktail before dinner (just don’t tell the Martini Bar that!). During tender days the Magic Carpet goes down to sea level and becomes a tendering platform for the ultra-luxurious Edge Tenders. Unfortunately, due to high winds we were not able to experience this, but having spent time on it, I can see how it could elevate the tendering process. Finally, once a cruise experience Dinner on the Edge where the Magic Carpet is transformed into a unique specialty dining venue with spectacular views out over the sea. I’ve also seen reference to Brunch on the Edge, which also sounds a lot of fun! All in all, I loved the design and feel of Edge. 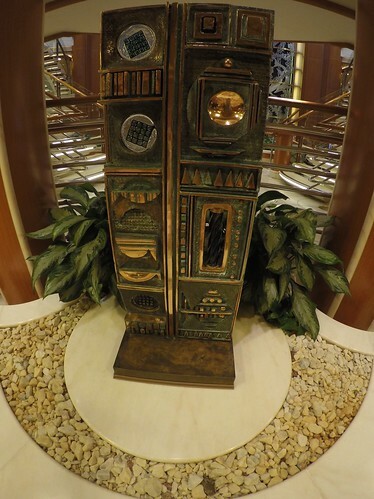 They have approached the ship more like a boutique hotel, resulting in spaces that have a very different feel to other ships. Let me know in the comments below or on social media what you think – Did you enjoy Edge? Or would you sail on her? Celebrity Edge will sail the Caribbean until April 2019 where she will reposition to Europe for the Summer season, before returning to the Caribbean for winter 2019. To read more take a look here. This is the first part in a series of posts exploring Edge. 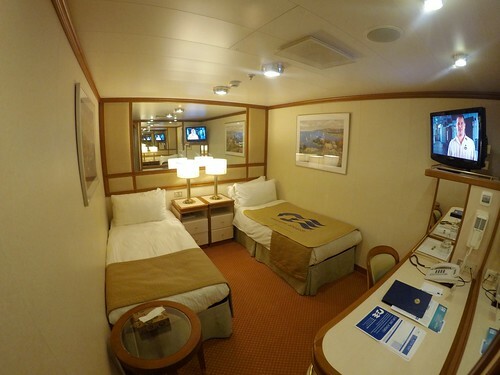 Next, we’ll talk about accommodation on board and one of my favourite subjects, food and drink. Click below. 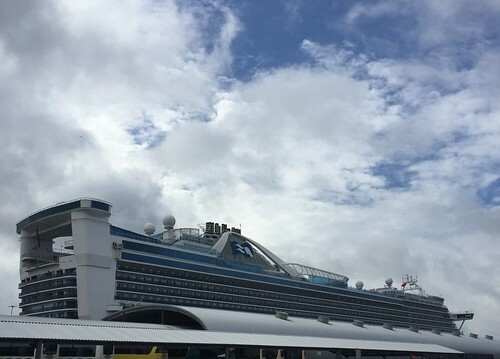 Blog, cruise ships, Reviews blog, celebrity, celebrity cruises, celebrity edge, new ship, review, ship. permalink. Thanks! Honestly such a gorgeous ship. I wanna go back on!